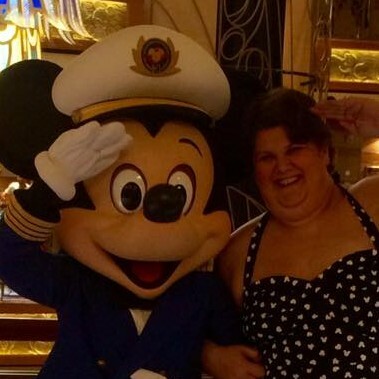 Sandy Nussbaum Giercyk is a life long Disney Enthusiast. Nussbaum Giercyk is the agency owner of IITS, an Authorized Disney Vacation Planner which limits is complimentary concierge planning services exclusively to Disney vacations. Sandy has had the privilege of attending the Disney Fantasy Christening & a "preview cruise" on both the Disney Dream & Disney Fantasy. A platinum Castaway Club member and having sailed all 4 ships! Cruising is a favorite. She and her agents are all highly qualified with first hand experience in the Parks (Walt Disney World, Disneyland and Disneyland Paris) and on the ships many times each year. Sandy has begun to believe "the World is your oyster" with travel from Adventures by Disney, seeing the World in a great new way. Her international experiences include Italy, Costa Rica and most recently Peru. In addition to being an agent, Sandy who lives in NJ with her daughter, is a Disney Vacation Club member, Annual Passholder and Disney Stock holder. Sandy has been a speaker at local mom's groups, county conference and state conventions. Nussbaum-Giercyk brings her every day life and sense of humor to delivering presentations that click with the audience. There is no substitute for real life.....attendees shake their heads, laugh and cry along as Sandy relates to the audience in sharing personal stories of being a mom, daughter, volunteer, business owner, friend and so much more!